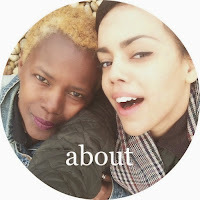 barri & belle: creating a cosy home with next! 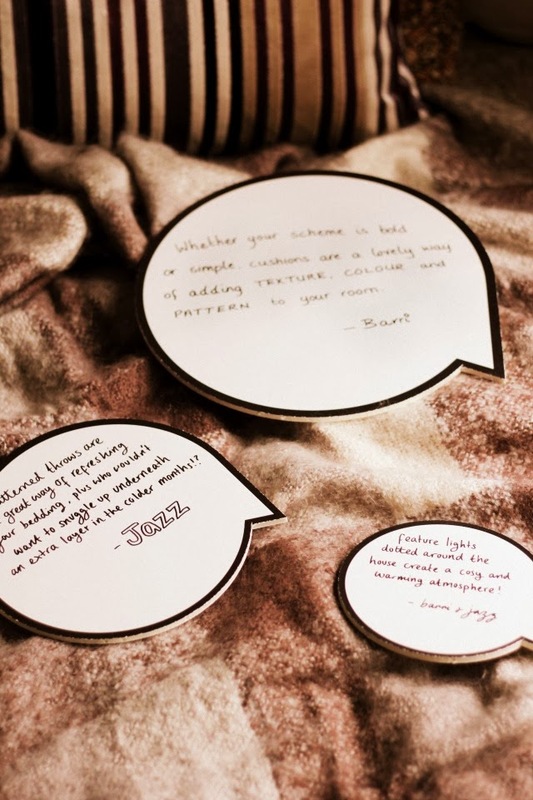 creating a cosy home with next! 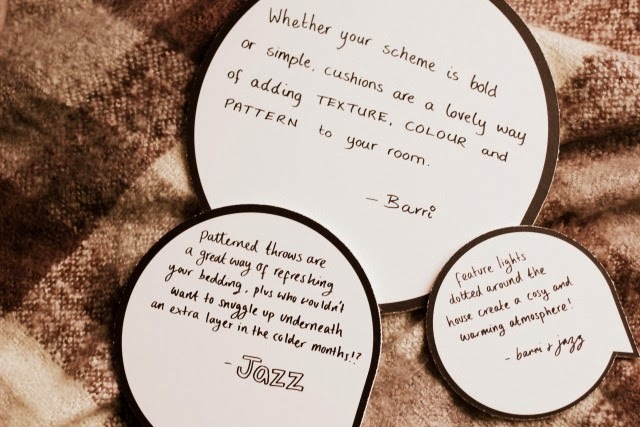 So, Next recently asked us if we'd like to share some of our styling tips on ways we create a more cosy home during the colder months, and here are the results! We selected one piece each, with the heart light being something we could share - all things we thought would be perfect in our little home. 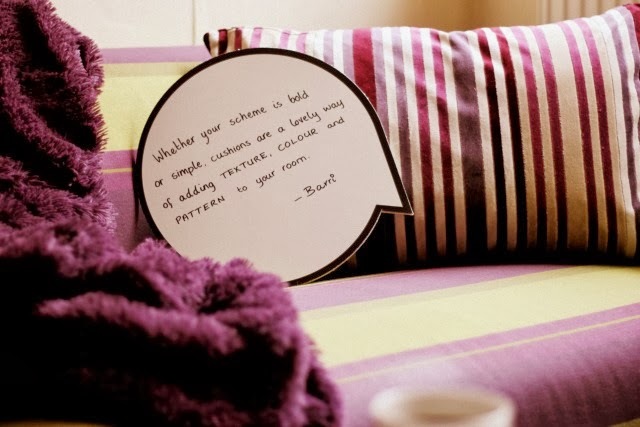 Barri: I love very bold colour schemes, my main room is a mix of deep purples and lime green with a dash of orange dotted about. Stripes are one of my favourite patterns, so the purple striped cushion is is the perfect addition to my sofa (which I reupholstered myself, would you believe!). Even if you aren't a fan of such strong looks, cushions are a lovely way of adding texture, colour and pattern to your room! Jazz: I'll all about comfort and style in my room, so I can never have too many throws and blankets on my bed! At the moment my room as been lookin' a little more neutral than usual, so the colours of the check blanket suit the look I'm after perfectly - I find that blankets are a cheap and cheerful way to refresh my bedding and decor! 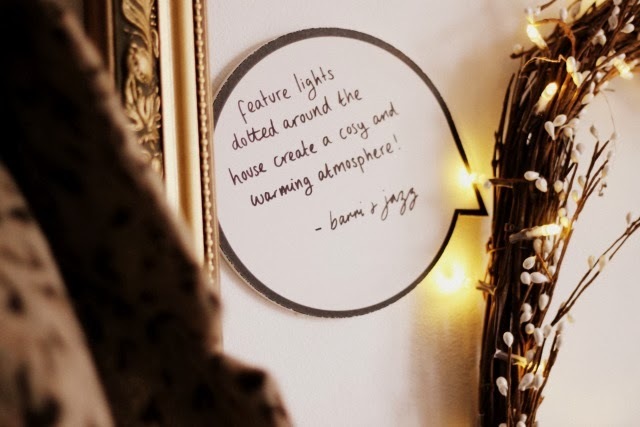 My mum and I adore mood lighting too, so we try to never use our main lights, but instead stick to feature lighting and candles to create a warming and cosy atmosphere. 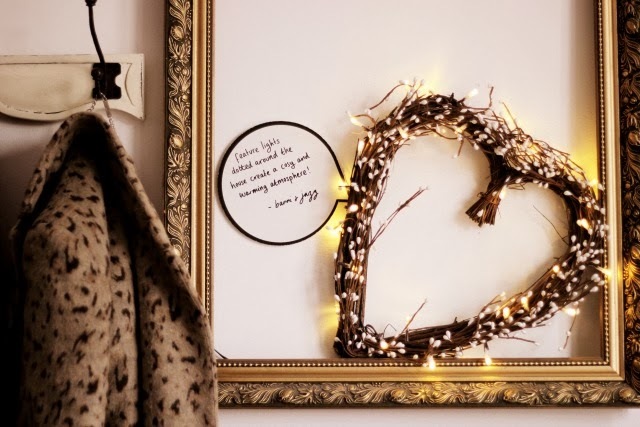 We absolutely love the lit heart wreath - mum's already added some dried oranges to it to create a Christmas display in the sitting room! Happy December! Love, Barri & Belle. That is such a lovely wreath and I really like the use of the card as something different for the post. 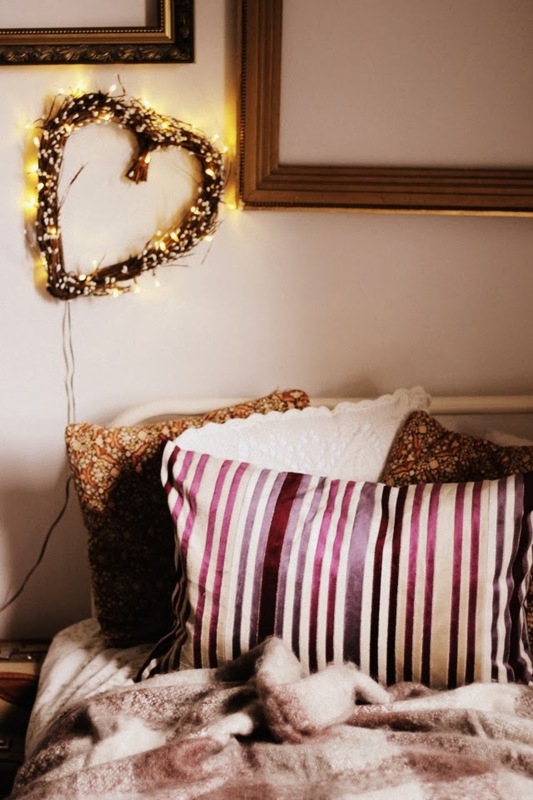 :) You've got me well in the mood for Christmas decorating! i'm loving the look of that cosy throw - you're so right about extra layers! !